The 125th season of Utah prep football welcomes the Green Canyon Wolves from North Logan to the varsity ranks. 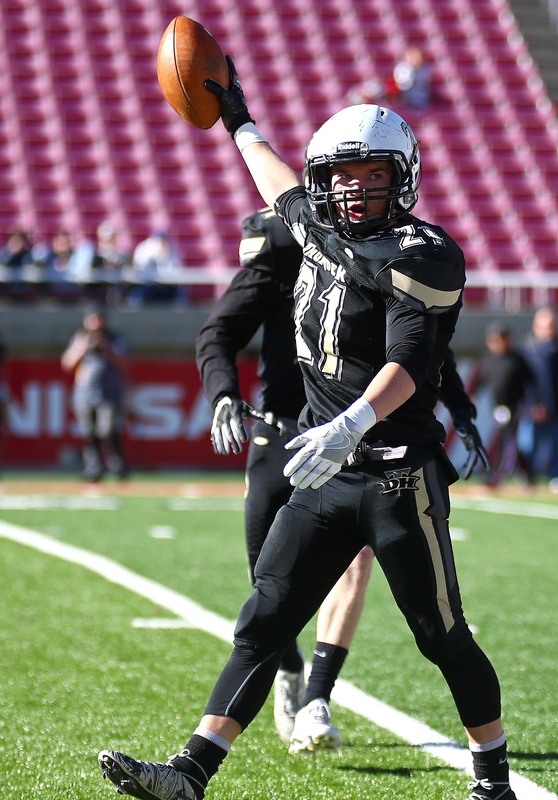 Green Canyon is the 135th team overall to play high school football. But since Diamond Ranch isn’t fielding a squad this season, the number of current teams remains at 106. Incidentally, the Wolves play six straight home games before traveling to Ridgeline on Sept. 29. GC has a seventh home contest on Oct. 13 (Week 9). No other team has more than six home games this season. Next year, Farmington High (no mascot yet) opens. In 2019, three additional high schools come on line: Crimson High (Titans) in Washington and yet-to-be-named schools in Eagle Mountain and in Herriman (the city’s second). The ’17 season kicks off with 51 Endowment Games. Only Monument Valley, Rich, Wasatch and Whitehorse are idle. For 15 straight years, from 2006-16, Bountiful and Lone Peak clashed in the season opener. However, both decided to begin the ’17 season closer to home: Bountiful hosting Davis and Lone Peak invading Herriman. Now, the longest current Endowment Game series (and second longest overall) belongs to Dixie and Springville. Those two battle for the 12th straight year (since 2006), this season at Springville. One other long-running Endowment Game series also ended as Hurricane and Skyline won’t meet in the opener after eight straight years (2009-16). The latest realignment reunited some long-lost rivals, but severed a couple of long-running series. Box Elder and Logan won’t battle in the state’s second most-played rivalry. The two have met 98 times since 1919. The series was also interrupted from 2005-08. With the state’s most-played rivalry between East and West, 112 games, also on hiatus, the Box Elder-Bear River series becomes the most-played active rivalry; on Aug. 25, they meet for the 97th time. It’s also the longest uninterrupted rivalry. Other long-time rivalries which won’t be renewed this season, but which have been interrupted in the past, include: Payson-Springville (94-game series), Cyprus-Murray (76), American Fork-Lehi (72), Delta-North Sanpete (71), Tooele-Murray (67), Delta-Richfield (65) and East-Highland (59). This is the first time since 1996 the two Salt Lake foes haven’t met. On the other hand, Morgan and Park City spar this season for the first time since 2009. Other long-running series revived this year include Orem-Payson (last met in 2010), Bear River-Ogden (2012), Bonneville-Roy (2014), Logan-Ogden (2014), Provo-Springville (2014) and San Juan-Monticello (2014). Morgan and Park City grapple for the 69th time since 1928, Morgan holds a slim 33-32-3 series lead. Grand and Monticello tangle for the 63rd time since 1934; Grand holds a sizeable 44-13-4 series lead. Richfield plays Emery for the 41st time since 1963; Richfield controls this series, 23-17. Four games pit teams that haven’t seen each other since the 1990s: Orem at Bingham (last met in 1993), 15th meeting, Orem leads the series 9-4-1; Davis at Bountiful (1996), 40th meeting, Davis leads 24-13-2; American Fork at Weber (1999), third meeting, Weber leads 2-0; and Milford at Gunnison (1999), sixth meeting, Milford leads 5-0. First-time matchups include Ben Lomond at Salem Hills, Duchesne at American Leadership, Hurricane at Mountain View, Lehi at Alta, Pine View at Green Canyon, Riverton at Skyridge, Sky View at Stansbury, Wayne at North Sevier and West Jordan at Westlake. Two games match first year coaches: Beaver (Jon Marshall) at Canyon View (Skyler Miller) and Parowan (Carter Miller) at Altamont (Trint Richins). East is on a state-high 24-game winning streak, which ranks tied for the 10th longest in state history, but 25 games short of the state record (48 games by Duchesne from 2010-14). An undefeated season vaults the Leopards over seven other teams into second place. Duchesne starts the year with eight-game winning streak, Beaver, seven, Desert Hills, five and Juan Diego, three. Seven other teams won their last game of the 2016 season, but didn’t qualify for the playoffs, so enter the season on a one-game winning “streak”: Clearfield, North Sanpete, Parowan, Richfield, Riverton, Spanish Fork and Whitehorse. 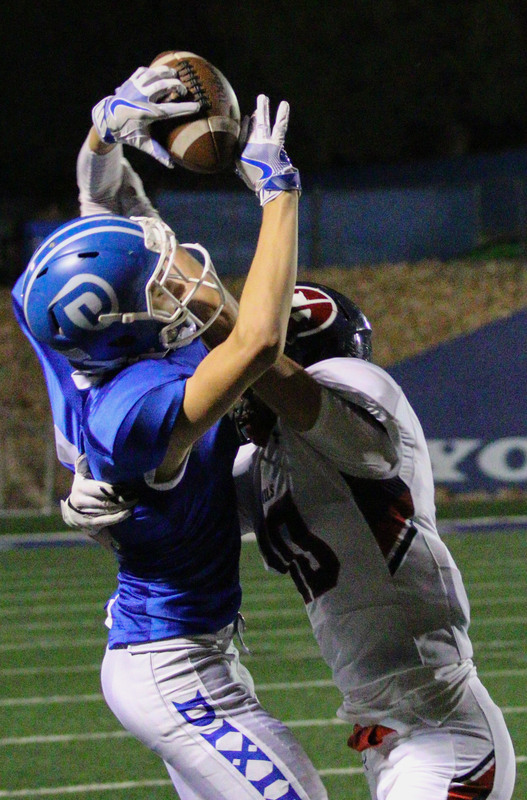 Dixie has scored in 62 straight games and ties its school record by scoring against Springville on Friday. Murray celebrates its 100th season of football. Morgan and Pleasant Grove compete for their 90th seasons. Granger takes the field for the 60th year, while Layton and Manti mark their 50th seasons. Alta starts its 40th year. Beaver and Judge Memorial each aim for their 450th victory. Millard plays its 850th game and Canyon View, its 200th. Twenty-seven coaches with new teams roam the sidelines as the ’17 season begins. 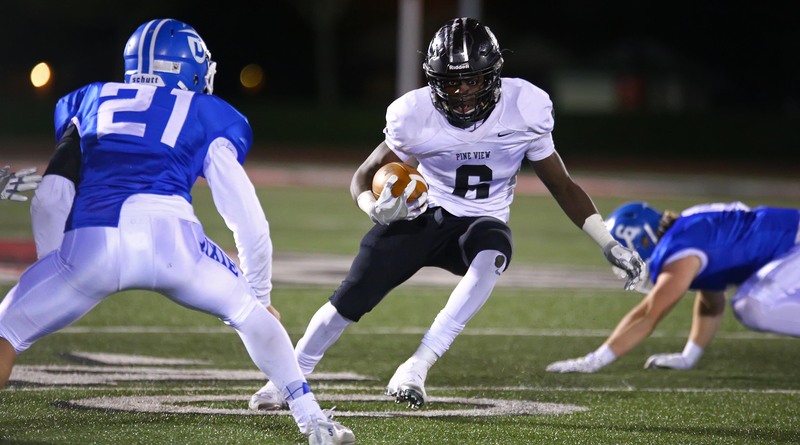 That affects more than a quarter of the prep teams and marks the third-most coaching changes in state history (there were 32 in 2012 and 29 in 2016). Meanwhile, six active coaches have directed teams for at least 20 seasons. 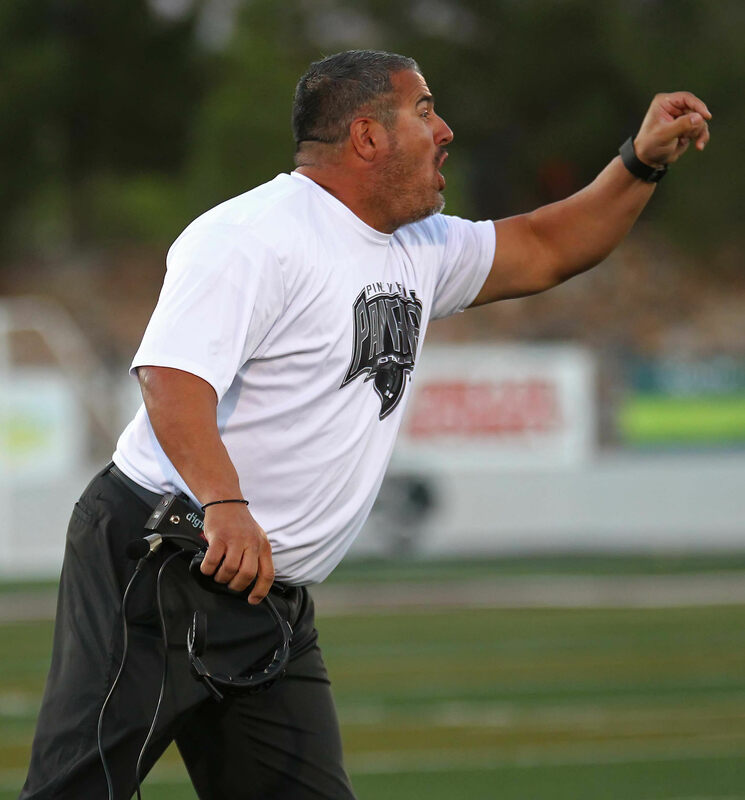 John Colosimo (currently at Juan Diego) begins his 30th year; only four others have coached more seasons all time. Todd Peacock (Uintah) returns from a two-year “retirement” to start his 29th season, the seventh most in state history. Blaine Monkres (Riverton) and Mark Wootton (Pleasant Grove) enter their 27th seasons, Scott Henderson (Hunter), his 22nd and Mike Bowring (Juab) starts his 21st. Longevity at the same school? Three coaches begin their 18th year for their respective teams: Ashley Brown (Rich – the only place he’s coached), John Colosimo (Juan Diego) and Cole Meacham (Manti – the only place he’s coached). Ray Hosner (Pine View) embarks on his 17th season, and Dennis Wells (Grand) and Chris Wise (Bear River) start their 16th. After coaching one season at Murray, Blaine Monkres heads to Riverton, the fifth school he’s coached (Morgan, Fremont and Dixie are the others). He joins just three others who have helmed five schools: Steve Coburn (Morgan, Ogden, Cottonwood, North Sanpete and now at Wasatch), Les Hamilton (Grantsville, Alta, Hunter, Pleasant Grove and now at Summit Academy) and Garry Walker, who coached from 1980-2004 (East Carbon, South Sevier, Timpview, Ben Lomond and South Summit). Another change removes non-contact face guarding from pass interference restrictions. Yet another alteration makes “pop-up” kicks illegal. A pop-up kick is a free kick in which the kicker drives the ball immediately to the ground and it pops up as if it were kicked off a tee. Some changes aren’t too significant: commercial advertising isn’t allowed on the ball and the ball is dead when a prosthetic limb comes off a runner. The committee also identified four points of emphasis: (1) Responsibility on players to avoid illegal contact; (2) Illegal helmet contact; (3) Professional communication between coaches and game officials; (4) Proper enforcement of penalties for equipment rules violations. A complete list of changes can be found at this link. Precisely 600 games are scheduled this season, including the playoffs, the most in Utah prep history. It took 27 seasons, from 1893 to 1920, for the first 600 games to be played.